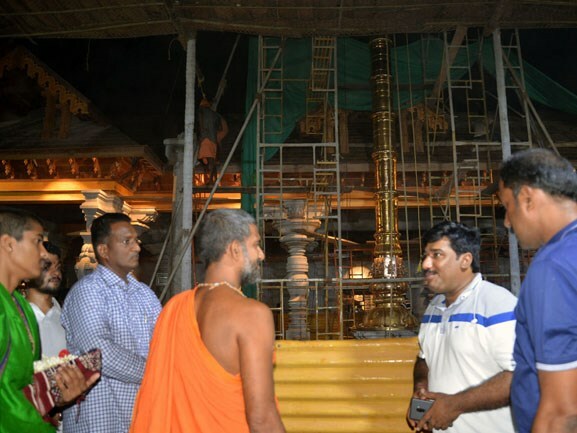 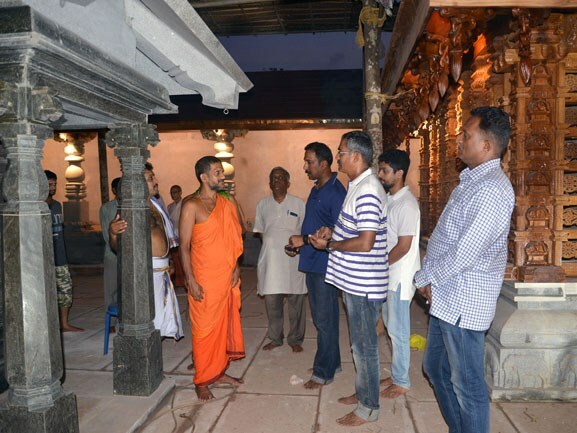 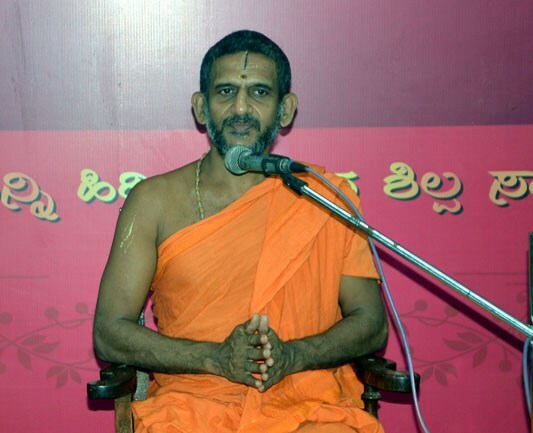 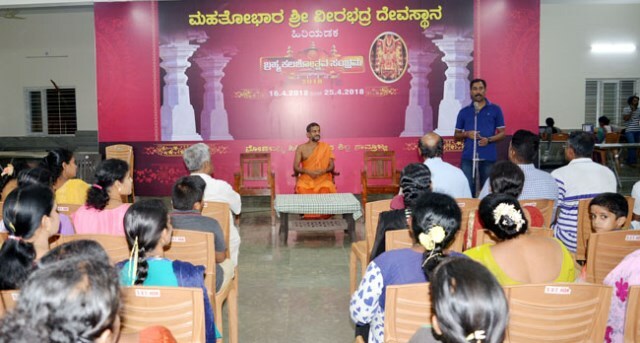 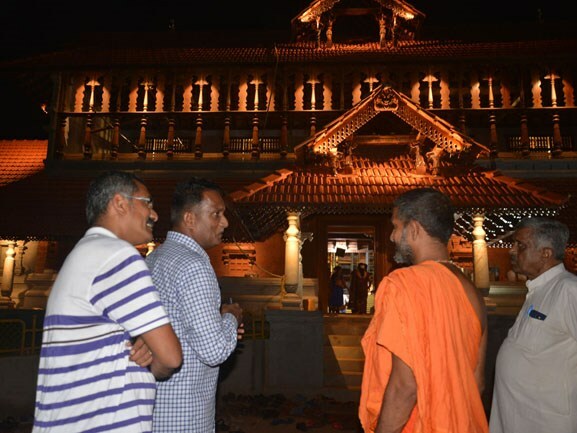 Udupi, 15 Apr 2018: Swami Vishwaprasanna of Pejavar mutt visited reconstructed Veerabhadra temple, Hiriyadka, near here, on Sunday, April 15, where Brahmakalashotsav will be held from April 16 to April 25. 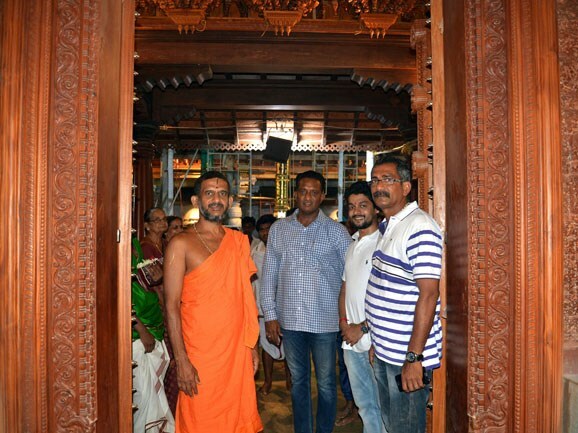 He acclaimed that the sculpture of both wood and laterite stone at the majestic temple recalls the glory of royals. 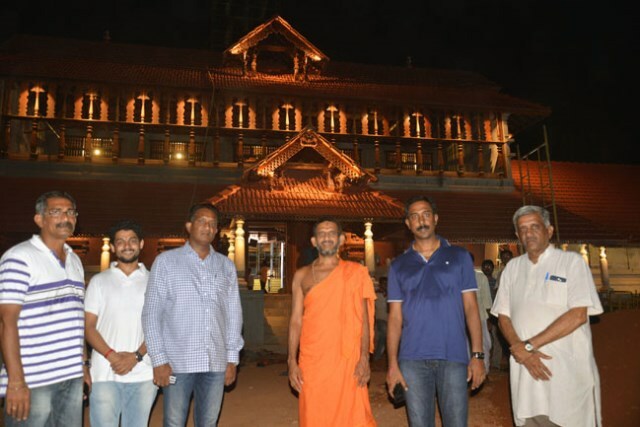 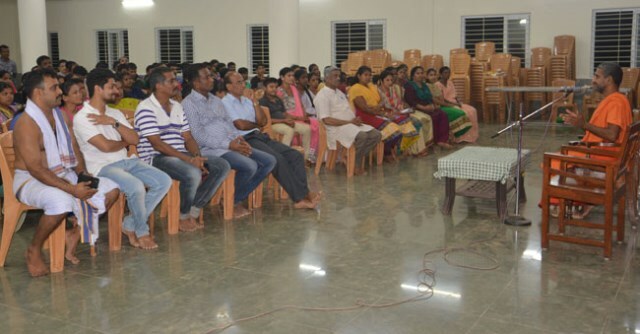 The reconstruction Committee secretary Somnat Shetty and others were present.